BEDFORD PARK, Bronx (WABC) -- A fire burned through a 2-story building in Bedford Park, Bronx. The flames broke out around 10 p.m. inside the building which had been vacant. 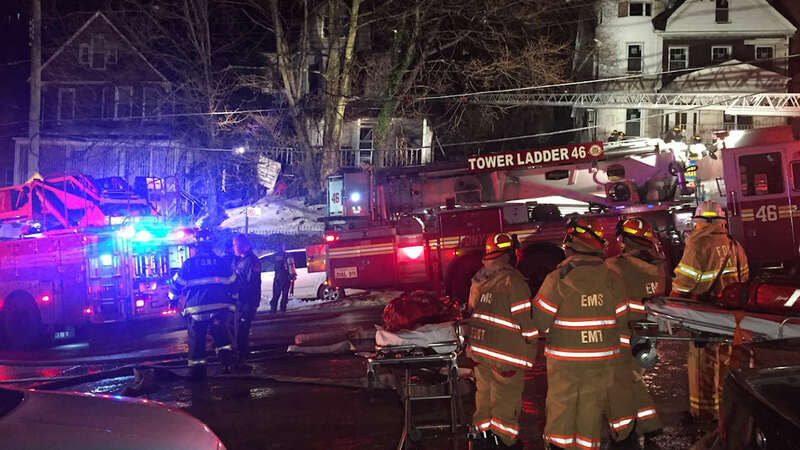 One person was inside the building at the time of the fire and was taken to Montefiore Hospital in critical condition. Firefighters are still working to put fire out.